Blockchain is designed around a shared, distributed ledger technology where each transaction taken place is digitally signed to ensure its authenticity and integrity. Blockchain technology records transactions between two parties. It’s an effective, safe and secure way of making and recording transactions. Brainpulse has created benchmarks in the vertical of Blockchain app development. Our Blockchain development team has so far helped over 200+ businesses by developing and deploying fast and secure custom decentralized Blockchain applications. We are a leading application development firm with rich experience in building innovative Blockchain powered enterprise solutions for different industry verticals. Our Blockchain development framework couples all its segments (artificial, Intelligence, data analysis, Internet of thing and web security) together to create a solution that lasts. Blockchain is now being used to build a more open, accessible and safe financial future by empowering businesses to authenticate and transact immediately without data breach. Since its inception, Blockchain has been changing the dynamics in the way how existing technologies addressed the problems across industry verticals. Blockchain is unfolding new solutions on each passing day to disrupt the existing and the stale business mechanism across the business establishments. Due to the massive potential it holds and cost benefits it offers, global enterprises are adopting Blockchain technology for secure transactional computing. Even fortune 500 firms and world leading tech conglomerates are excited about the technology and are seeing it as a key tool to improve their performance through innovative methods. Initially, Blockchain was developed to reinforce digital currency bitcoin, but later it was adopted as the most efficient technology against cyber fraud as it ensured financial transactions to be verified electronically over a network of computers. It all starts when someone sends a request for a transaction. The request is then transferred to a person-to-person network of computers that are called ‘nodes’. Now the node of networks runs its inbuilt algorithm to validate the transaction and the user’s status. A verified transaction could be anything from Cryptocurrency to contracts and records. Once the verification completes, the transaction is merged with other transactions to create a new block of data for the ledger. 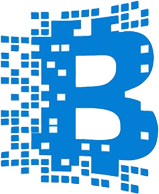 This new block is then added to the existing Blockchain. Now, the transaction is complete. Brainpulse is one of those web development firms that befriended with Blockchain technology as soon it emerged. Ever since, we have gained massive exposure in in building high quality, scalable distributed applications and customized protocols. Our POC (Proof of Concept) mock-ups are the solutions that we make to test ideas in real business scenarios. Our team develops and deploys private, permissioned Blockchain to address client’s specific business requirements. Our Blockchain developers develop secure and seamless Smart Contract code to automate processes. Our team develops tailored Cryptocurrency Platforms to build custom cryptocurrency based projects. Looking a development team to for develop decentralized and secure mobile wallets for Cryptocurrencies? Tell us. Our development team develops decentralized applications using permissioned Blockchain like HyperLedger. Why Brainpulse for Blockchain Application Development? We are among the top players who are leading the Blockchain development vertical. Our team of Blockchain experts adopts best strategy and planning aligned to your specific business needs. Our solutions are built and deployed around a customer-centric engagement model. There are multiple reasons why we are the ring leaders in the Blockchain development. Brainpulse Blockchain solutions are the best fit for businesses and brands of all sizes whether startups or renowned enterprises. Want to explore more? Call to our business development executive on 0120-6790400 Or drop us a mail.